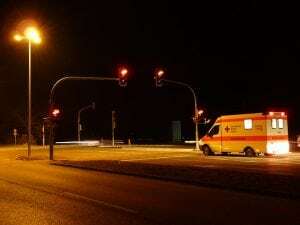 Rotterdam, NY (March 22, 2019) – On Friday night, March 22nd, police and paramedics were summoned to the scene of a motor vehicle collision that was stated to have happened along Curry Road for reasons that are unclear at this time. According to police, the impact caused at least minor injuries after the collision, which occurred at an unspecified time. Authorities reported that one of the vehicles involved ended up going off the road and narrowly missed a pole and a tree before crashing into a second tree. Emergency medical crews were immediately called to the crash site where they transported two people to Albany Medical Center to be treated for their injuries. At this time, the specific conditions of the victims have not been reported. Police who arrived at the scene are now currently conducting a thorough investigation into the events that led to this accident. The site has been cleared and no identities have been provided. Our deepest sympathies are genuinely extended to both injured victims of this crash, first and foremost. Following a car accident in New York, it can be extremely difficult but it is important to understand that victims may have substantial rights to follow. This is particularly true in the event that the accident is caused by a blatantly negligent or criminal party. Our New York accident attorneys at Hach & Rose have devoted their lives to assisting those who have unfairly suffered due to the actions of another person or other irresponsible entity. We realize that there is almost nothing as difficult as recovering from a sudden accident, and we are here for you 24/7 to answer any questions you may have at this time. If you have been hurt in a car accident in New York, please don’t hesitate to call 212-779-0057 today.